BOUNDARIES ARE BEAUTIFUL | WHO IS LEO? EXPLORE THE ARCHETYPE OF THE LION WITHIN! 22 Jul WHO IS LEO? EXPLORE THE ARCHETYPE OF THE LION WITHIN! 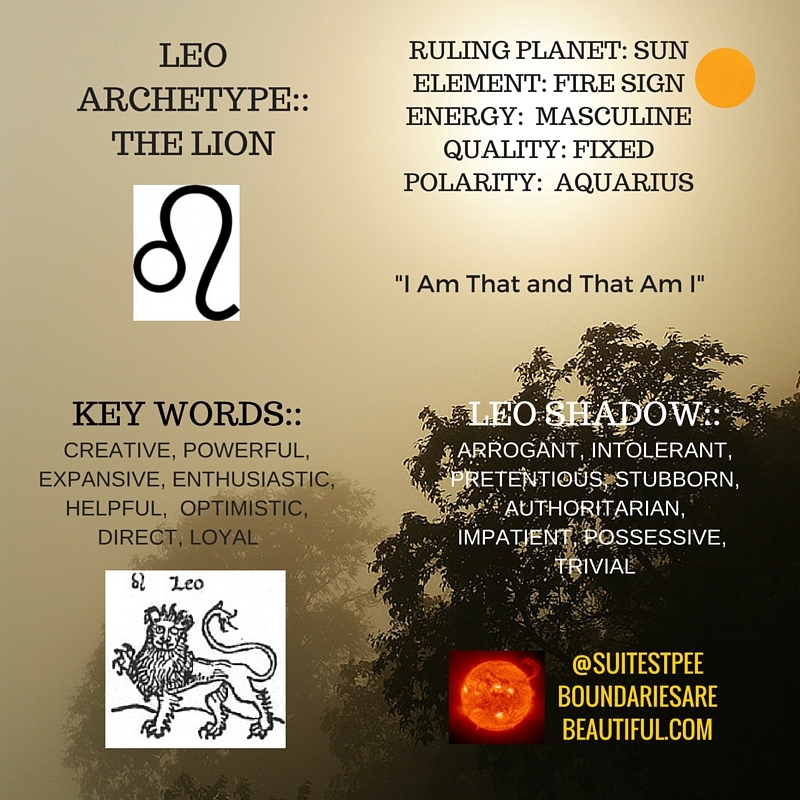 LEARN MORE ABOUT LEO WITH ME! FIXED SIGN :: WHAT IS A FIXED SIGN? 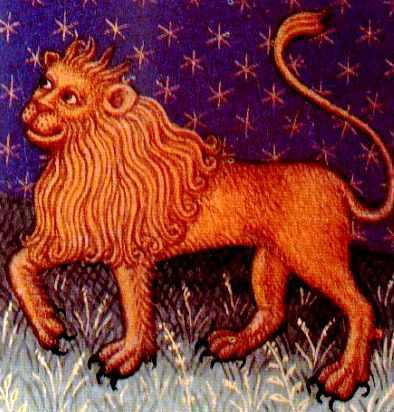 “Leo has been identified with “The King” or life giver. 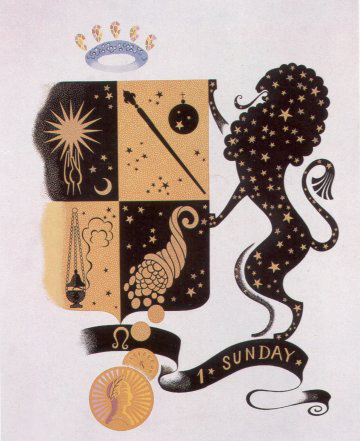 The symbolism of the lion is that of the life-giving Father, the Spirit, and its nature is of the center or the heart, through which all energy flows, and the life-force emanates. One must know oneself through true self-awareness. 1. Physical Sensitivity to the influences and impacts coming from the external environment. As we become conscious we begin to view the sensory impact of the environment upon the physical body, emotions and mind from a place of detachment. 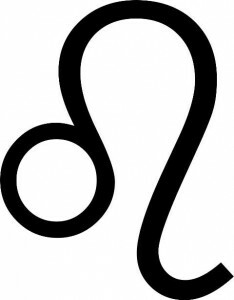 Leo at this stage serves to solidify, “fixate,” or bring such responses together. 2. Sensitivity to the Will, Wishes, and Urgings of this integrated self-conscious lower self. In essence, it is here that the Soul becomes a self-motivating entity. 3. Sensitivity to the Soul’s response to life. At this stage, the Soul is “fixed” as a mediator between the Creative Fire of the Spirit and the physical world we live in. 4. Sensitivity to the Right Use of the Spiritual Will is of paramount importance. 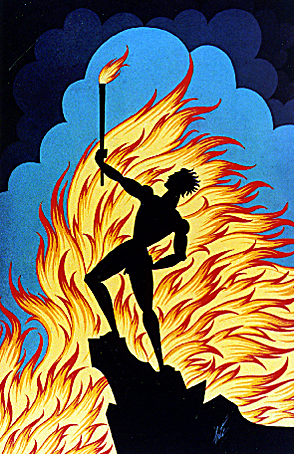 When through Leo one has developed to a point of being a “liberated” person, freedom from the oppressive karma of the lower self is achieved. We can then begin to transform the outer environment into the proper vehicle for the expression of the Inner Plan. By cultivating sensitivity to the higher impacts of those worlds which lead to the Purpose of Divinity, we accomplish our final goal through World Service. the knowledge of Self as a Part of the Whole. 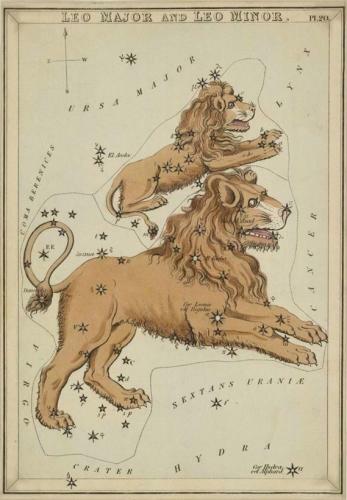 LEO’s inherent creativity is to flow from the well of self-awareness in an individualized form. LEO is to be all he can be. QUALITY TO OVERCOME: The desire for the external throne. LESSON TO LEARN: Self-mastery (sitting on the “inner throne”) is the road to success and fulfillment.